From Saint Paul to Paris to New York, F. Scott Fitzgerald’s early years were fast-paced and vibrant. This opulent lifestyle from the 1920’s and beyond was partly fueled by the publication and success of his debut novel, This Side of Paradise. For the young author and his enchanting wife, Zelda, it seemed there was nowhere else to go but up. However, numerous misfortunes, troubles with his marriage, and an increasing dependency on alcohol led this high-spirited, optimistic carpet to be ripped out from under him. It seemed that the endless parties promised by the Jazz Age were over. 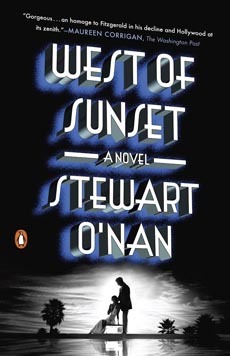 In 1937, Fitzgerald ended up in Hollywood, where Stewart O’Nan’s tragic but dazzling historical fiction novel, West of Sunset, begins. West of Sunset weaves Fitzgerald’s last few years in Hollywood with visits to the ailing and unstable Zelda in an asylum in Asheville, North Carolina. The novel opens during one of these visits, as Fitzgerald and Zelda visit a state park for their 17th wedding anniversary. This chapter sets up the tone of the book: nostalgic and regretful as we see the full extent of the damage to Zelda and Fitzgerald’s relationship, as well as the damage to his career. “He wasn’t entirely well either. 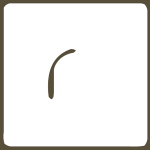 He spent too much time at his desk, smoked too much, drank too much…” O’Nan writes, in elegant, crisp prose. O’Nan’s accomplishes all of this by using an omniscient third-person narrator that allows us to be inside of Fitzgerald’s head, without taking away his own unique voice. These scenes on the East Coast with Zelda are bittersweet, poignant, and well researched, but it is Fitzgerald’s last years in Hollywood that makes up the bulk of the novel. From Santa Monica to the famous Garden of Allah to a cottage in Malibu, O’Nan shows the various locales that Scott visited during his years in L.A., as well as his sometimes apathetic attitude towards them. Like some of his previous work, Last Night at the Lobster or Emily, Alone, O’Nan highlights the monotonous but obligatory tasks a person must commit to in order to keep their lives afloat. Fitzgerald, slowly losing the glow of his earlier fame, works on soulless scripts in Hollywood, rarely receiving a credit, primarily to pay Zelda’s hospital bill and his daughter’s tuition. Along his journey, we get to see different literary and film figures, something book and movie lovers will rejoice at. Fitzgerald has tense conversations with Ernest Hemingway, witty back and forths with Dorothy Parker, and wild parties at the Garden of Allah with Humphrey Bogart and Mayo Methot. It is exciting to see what figure from The Golden Age of Hollywood will show up next. But it is Scott’s tumultuous relationship with gossip columnist Sheilah Graham that takes center stage during these chapters set in Hollywood. Through this relationship we learn the full extent of Scott’s dependence on alcohol. “What have you done to yourself now?” Sheilah asks Scott in the hospital, after a binge at the Winter Carnival in Dartmouth ends badly. The novel portrays, with tragic detail, the determination that Fitzgerald has after one of these binges, trying to fix the trail of destruction, only to fall back into the always open mouth of his Gordon’s and dash it all to pieces again. Even though the setbacks seem to outnumber the steps forward, the novel never shies away from showing the dedication Fitzgerald has to the craft of writing and all the elements he’s learned along the way. West of Sunset captures gracefully the last three years of F. Scott Fitzgerald’s life; years filled with glamour and destruction. The pages are brimming with a bittersweet nostalgia, as Scott reflects on his energetic past and all the ‘what-could-have-beens.’ There is also a feeling of uneasiness littered throughout the book: even during the times of happiness, like his quiet Christmas spent with Sheilah in Malibu, we know not only what will happen in the end, but also that the happiness will not last. With Fitzgerald, the happiness always seemed to burn bright but never for too long: “Now that he was happy, he could be unhappy again,” the novel says during one of Sheilah and Fitzgerald’s first dates. O’Nan does an expert job at capturing all of this. He uses a third-person point-of-view that captures the language of the time and gives us a feeling that we are traveling with Scott, without sounding too similar to the famous writer himself. The author is also excellent at painting pictures of the various locales, including Malibu, New Hampshire, and even Hollywood, lit up in the nighttime. West of Sunset is a wonderful novel, even if the references to Hollywood in the 30s and the literary greats of the time may go over some readers’ heads. Although much literature shows his years in Paris, Fitzgerald’s last three years of his life in Hollywood is a story worth telling, being as tragic as it is compelling. O’Nan takes this story and builds it into a highly entertaining, roller coaster of a novel that fans of F. Scott Fitzgerald and lovers of Hollywood history alike can enjoy.  Justin Christensen is a 2016 graduate from Hamline University, where he studied Creative Writing and English. In his free time he likes to dabble in journalism, go to shows and explore the Twin Cities. Currently, he’s working on a new short story as well as several poems.